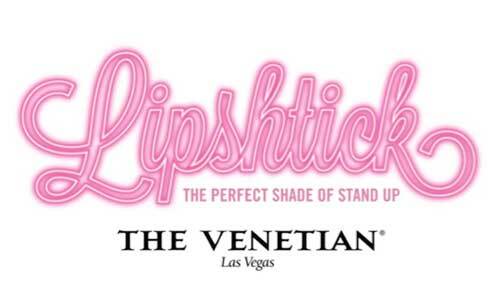 It’s ladies night in Las Vegas all year long with Lipshtick, the first ever all women comedy series hosted on The Strip. The buzz is big for this all star lineup, performed in the lavish setting of The Venetian. Give your girls weekend a makeover, and laugh until your cheeks hurt and mascara runs. The show is great for couples as well, though be prepared for some good humored fun at the expense of members of the XY persuasion. Tickets are on sale now for the chance to see big names- and get bigger laughs- while dazzling it up as only Vegas can do. Suite packages are available and include a meal at one of the thirty (yes, thirty!) fine-dining restaurants located in The Venetian or Palazzo. Need more? Go VIP to receive preferred seating and the opportunity for a meet and greet with the comediennes after the show. With an outstanding assembly of the best women comics in the business and more signing on later this year- you’ll be sure to find your own perfect shade of ‘shtick.